Foodies are constantly trying to find ways to recreate meals, drinks, and snacks. We've seen the cupcake trend explode over the past few years, but the latest sweets to sweep the country are donuts. Yes, the deep fried, sugar glazed, carb-loaded treat is becoming the chic-treat. 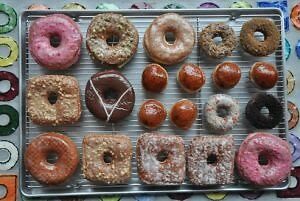 The following is a list of 5 gourmet donut stores in NYC.